The black Buna industrial squeegee is a heavy duty all purpose floor squeegee, built for endurance and is excellent for any tough job. This rubber squeegee is excellent in high and low temperatures, and can handle cleanup of petroleum based solvents and mineral spirits. The black Buna blade resists most animal and vegetable products and by-products, and the all steel frame is engineered for exceptional push pull performance. This line of industrial duty floor squeegees are a straight blade squeegee, equipped with a 14 gauge steel frame. Industrial duty frames are powder coated red to resist abrasions and for added visibility. Curved squeegee blades are excellent to use when you have a need to push large amounts of water. The all-purpose industrial duty curved floor squeegee is equipped with a 14 gauge steel plated frame. 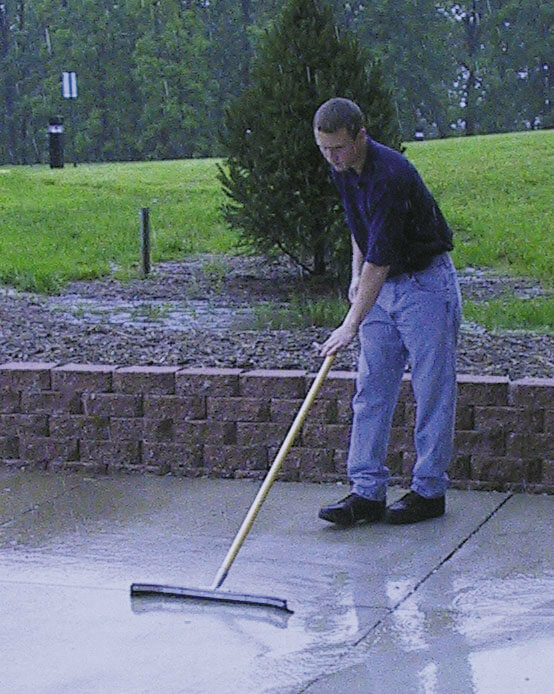 This general purpose squeegee is equipped with a standard duty 16 gauge steel plated frame. This rubber floor squeegee has a straight blade designed for every day normal use. 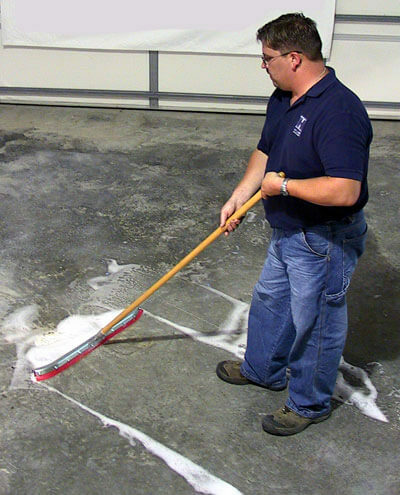 The standard duty floor squeegee has a curved blade in order to contain and push large amounts of liquid. This universal squeegee comes complete with a 16 gauge steel plated frame. White Nitrile is FDA approved (21 SFR 177.2600) and recomended for the food service industry. Non-marking white nitrile blade resist animal and vegetable products and by-products, and have a temperature rating from -30 to 225 degrees F, an absolute for any restuarant, hospital, paking house, food processing plant, marina, ocean liner and food service area. Rubber squeegee blade are assembled in a heavy duty 16 gauge stainless steel frame and fastners equipped with a built in scaper for an added tool. Rubber - SBR - synthetic rubber 7/32"x2"
Primary Uses - general maintenance, economical. All wood handles are sanded to a smooth finish and coated with a clear coat to protect from splintering. Only hard wood is used. Standard-duty white fiberglass threaded handle features strength as well as durability. This fiberglass handle is noted for its long-life. Fiberglass pole requires change of socket, please call when ordering. If squeegee is 48" or longer, choose wood for better integrity of socket connection. We supply replacement parts for Minuteman and Hover floor scrubbers for a fraction of the cost of the name brand squeegee blades. Replace squeegee blades of your floor scrubber machine when the blade appears wavy, torn, cut or worn. Materials available in gum or neoprene rubber. A full range of wet-dry vacuum cleaners from a portable 5 gallon / 3 Peak HP to a rugged 14 gallon tank model with 6 Peak HP. Your decision may be based upon the size of the unit, accessories included and price.